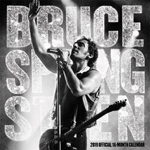 Bruce Springsteen will make his Broadway debut this fall with Springsteen on Broadway, a solo show at the Walter Kerr Theatre (219 West 48th Street). Performances for "Springsteen on Broadway" begin Tuesday, October 3, with an official opening on Thursday, October 12. Springsteen will perform five shows a week through February 3. 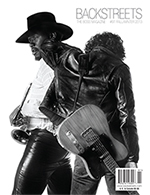 Springsteen says: “I wanted to do some shows that were as personal and as intimate as possible. I chose Broadway for this project because it has the beautiful old theaters which seemed like the right setting for what I have in mind. In fact, with one or two exceptions, the 960 seats of the Walter Kerr Theatre is probably the smallest venue I’ve played in the last 40 years. My show is just me, the guitar, the piano and the words and music. Some of the show is spoken, some of it is sung. It loosely follows the arc of my life and my work. All of it together is in pursuit of my constant goal to provide an entertaining evening and to communicate something of value." All times are local times unless otherwise stated. 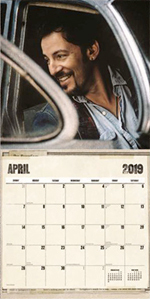 The additional run of Springsteen on Broadway dates, from December 5 through February 3, will go on sale on Thursday, September 7. As with the first onsale, prospective ticket buyers must register (if you haven't already) for Ticketmaster's Verifed Fan process in order to have a shot at purchasing. Registration is here, and it closes Sunday, September 3, at 10pm Eastern. According to Ticketmaster, Verifed Fan "registration is open now to all fans who did not register for the initial onsale and for those who successfully completed a ticket purchase." Anyone who registered initially and did not get tickets (whether on standby or just didn't purchase for any other reason) does not need to reregister. 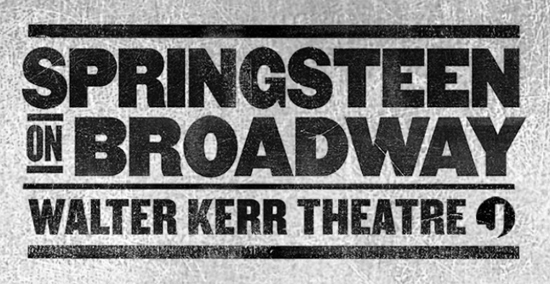 For further information, see the link above as well as Ticketmaster's Springsteen on Broadway #Verified Fan Onsale FAQ, which has been updated to reflect the extended run and new onsale. Please note: Backstreets does not sell tickets, and cannot advise as to the best method of obtaining them. We'll provide as much information and links on this page as possible to help inform fans as to what shows go on sale when, and how. Ticket links and times are accurate to the best of our knowlegde, but we strongly encourage you to doublecheck and do your own advance research on that front, to ensure you're going to the right place at the right time for an onsale. If you have any corrected information or better links, please let us know so we can keep this list accurate. If you don't get lucky when tickets go on sale, or if you have extra tickets that you'd like to get in the hands of other fans (by trade, or for face value), please check out BTX: The Backstreets Ticket Exchange. We established these scalping-free message boards to help fans help each other get in the door. Please read the policies and instructions on BTX carefully and make sure you're posting in the proper forum to help keep things running smoothly, and we hope it helps!